I just love this photo. 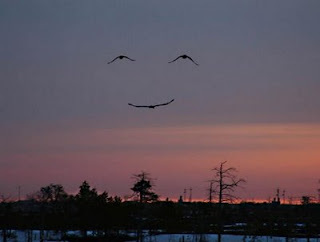 Nature can produce some wonders, but capturing these birds in flight with what appears to be a smiling face is just great. Wow.